Two is better than one! 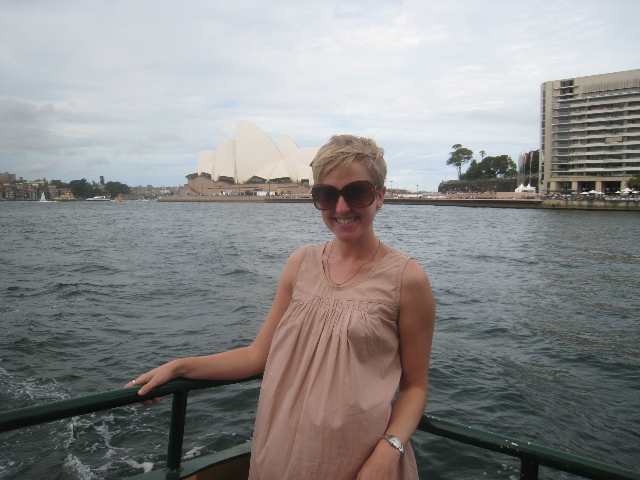 Meet our newest brow & makeup artist, Katie Robinson. Meet our newest brow and makeup artist, Katie Robinson, this Sunday from 12-6pm. Katie is a an extremely gifted makeup artist who has been doing makeup professionally since 2006, and freelancing for Laura Mercier for the past three years. In addition, she ‘s assisted at New York’s Fashion Week (for our very own Thomas McEntee!) and various editorial shoots. Says Katie,”The brows are the frame to the face.” She believes brows are to a person’s face as a frame is to a one-of-a-kind piece of art. Her philosophy is that brows must be natural, never emaciated, and always groomed to look healthy. A professionally-shaped brow can define the face by creating a finished look to any good makeup job, and therefore should never be ignored in the grooming or makeup process. Rather , it needs to be focused on and taken meticulous care of. We’re so excited to have this talented artist on board. Did we also mention that she’s adorable, bubbly and super-fun? Come meet Katie this Sunday from 12-6pm, and enjoy a little brow love! P.S. We’re growing our team of brow/makeup artists, so you’ll never have to do without a Sunday brow job again! 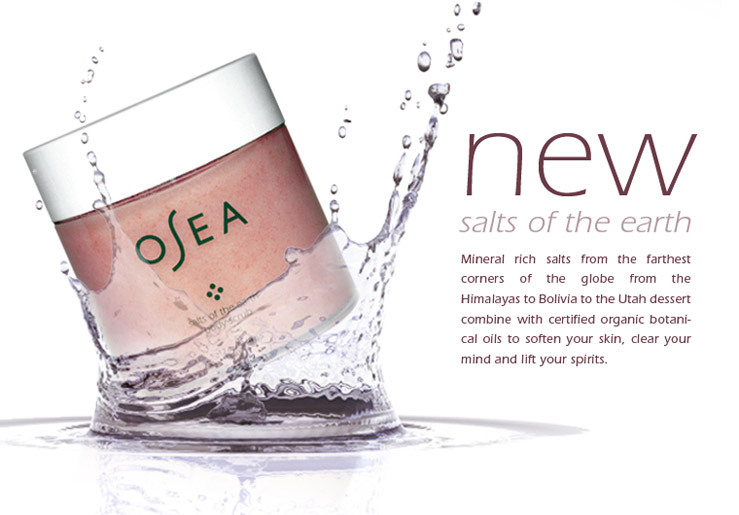 Restore a healthy glow and gently scrub away dry, sun-damaged skin with OSEA’S full body Salts of the Earth Scrub. Discover the healing and beauty benefits of salt, one of the oldest cosmetic ingredients. Alchemists thought of salt as the fifth element, and even Cleopatra’s Dead Sea spa was centered on the beautifying properties of salt. But Osea thought does the world really need another salt scrub? So they searched the farthest corners of the globe for the most mineral rich salt found on earth. The result? Osea’s otherworldly body scrub is spiked with certified organic botanical oils and aromatic mineral salts from around the globe. Salts of the Earth come from the Dead Sea, the Bolivian coast, the Utah desert and the Himalayas. This exotic blend of the purest salt on Earth contains 84 trace minerals and gets its unique pink color from the rich ores they contain. The ingredients in these salts plump up the skin, enticing it to soak up nutrients and look more youthful. Awaken your skin’s natural energy today with Salts of the Earth Scrub. To purchase, click here. The latest from Butter London, just in time for spring and summer! The Jelly Collection includes transparent shades: Twee (fuschia), Stroppy (purple) and Chuffed (tangerine). These juicy, sheer nail lacquers look and feel like a slick, wet gloss for your nails. Layer them over your favorite color, or wear solo for a beautiful blush of color. Layer for more depth and intensity. To purchase Stroppy, click here. To purchase Chuffed, click here. To purchase Twee, click here. You are currently browsing the miomia's musings : miomia apothecary blog | shopmiomia.com blog archives for April, 2010.